Purpose/Objectives: The TRANSLATE project started in 2016 to test the immune effects of metronomic cyclophosphamide, daily low-dose IL-2 every other week, and a single flash of radiotherapy (RT) in peripheral blood. 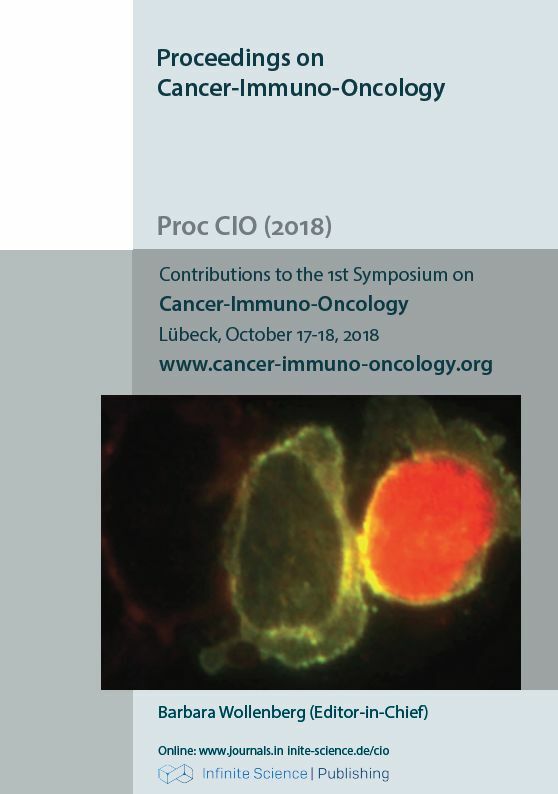 The rationale is based on self vaccination induced by radiotherapy (RT) 8 Gy single fraction on one metastatic lesion, T cells expansion by IL-2 treatment and selective Tregs down regulation by lowdose cyclophosphamide administration. Materials/Methods: We enrolled patients with end-stage breast, colon, kidney and prostate cancer. Analysis was performed at baseline, the day after RT, after 28 days from treatment start and at disease progression. Assay focused on Tregs, CD8+, NK, MDSC, CD3-PD1, IL-2, IL-4, IL-5, IL- 6, IL-10, IL-12, IL-13, IL-17a, TNFα, IFNγ, TGFβ. We divided patients into two groups depending on the time of disease progression (A > 3 months; B, < 3 months). We report preliminary data with the aim to show the changes observed post-RT in 20 pts. Discussion: The limited number of patients reduced the interpretation of the study. However, following RT a positive trend of Th2 cytokines is observed in patients with early progressing disease, without the expected surge of IFNγ that was instead observed in patients with better outcome. Additional analyses are in progress and will be presented.